Obviously one of the great inventions of our time has been the computer. Today, billions use computers in their daily life. While the first computers were extremely large and took up entire rooms, today, computers are extremely small and can not only fit on your desktop, but in your phone and on chips the size of grains of rice. Throughout the years, the computer has evolved from an extremely expensive, cumbersome and slow device to today’s extremely smart and quick machines with incredible processing power. Here is the history of computers. While there was no single person that is widely credited with inventing the computer, many view Konrad Zuse and his Z1 machine as the first in a long line of innovations that have given us the computer of today. Konrad Zuse was a German whose claim to fame is the creation of the first freely programmable mechanical computing device in 1936. Many would see Zuse’s Z1 as the first of a long line of calculators. Zuse found that one of the most difficult aspects of completing large calculations on the calculation devices of the day (a slide rule or mechanical adding machine) was the ability to keep track of the many results that would then have to be recomputed to give a final answer. Zuse’s Z1 was created with a focus on 3 basic elements that are still necessary in today’s calculators- it is necessary to have a control, it is necessary to have a memory to store results of each step and it is necessary to perform calculations. In later additions of his Zuse computer, Konrad Zuse created the Z2 and Z3. The innovations to his computers were quite important. The Z2 was the first fully functioning electro- magnetic computer and the Z3 was the first fully electronic and digital computer that included the ability to be programmed. The Z3 was programmed with a binary floating point number and switching system. It even included storage which used tape in the form of old movie reels. In those days most business machines used punched paper, however in Germany at the time, paper was extremely expensive. With World War II blazing on, the US government realized that it needed to be more innovative than ever in order to gain the upper hand. At major universities across America, many scientists and mathematicians worked hard on innovating new ways to keep up with the technology that was quickly advancing. Much of the focus was on making rockets and ballistics more precise- which required complex calculations. 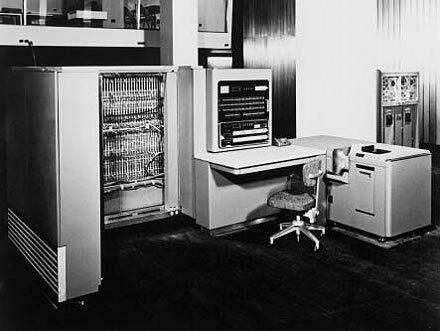 At Harvard, the first of the MARK series computers were being built. The MARK I began in 1944. This computer was absolutely huge and filled a room that was 55 feet long by 8 feet high. It contained an amazing array of components. In fact, in all it had over 760,000 parts. It was loud and clicked and clanged like a huge factory. However, the MARK 1 turned out to be a success. It was utilized by the US Navy for calculations of ballistics. It performed well for the next 15 years, being in service till 1959. The MARK I used pre punched paper tape, it could perform a wide variety of calculations including addition, subtraction, multiplication and division and it was able to hold and reference a previous result used in its calculations. 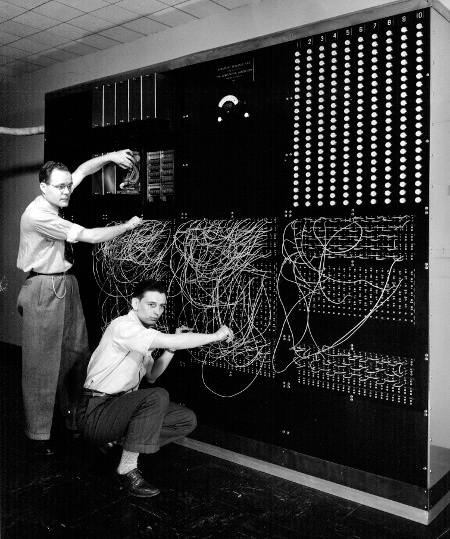 It even had the capability to compute numbers with up to 23 decimal places. As for the vastness of this machine, it was not only loud and had hundreds of thousands of parts, but included 500 miles of wire. 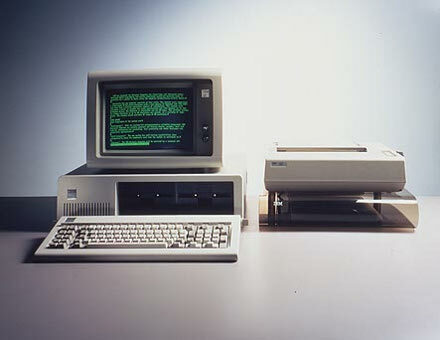 While the computer itself was high tech for its time, the output was not digital, the MARK 1 used a simple electric typewriter to display results. Speed was also lacking with a typical multiplication computation taking from 3 to 5 seconds. The ENIAC computer is known as being one of the most important achievements in computing. The computer was commissioned during WWII and it was originally commissioned and used by the US military for ballistics research for computing tables. The ENIAC stands for Electrical Numerical Integrator and Calculator. It was developed by John Mauchly and J Presper Eckert. While John Mauchly created several previous calculating machines, this machine would be different. The ENIAC would use vacuum tubes instead of electric motors and levers to speed up calculations. ENIAC was originally designed starting in 1943, however it wasn’t built and ready for operation until 1946. The total cost of the ENIAC was $500,000. While it was originally built for ballistics it was used for a whole host of issues including weather, random number studies and even wind tunnel design. The ENIAC had an enormous amount of vacuum tubes- over 14,000 and included 70,000 resistors and over 5 million soldered joints. It covered a space of 187 square meters and weighed over 30 tons. This computer was enormous. Regarding speed, the ENIAC was blazing fast for the technology in those times. It one second, the ENIAC could perform 5,000 additions, 357 multiplications or 38 divisions. The speed of the ENIAC was about 1,000 times faster than any other calculating device during that era. The ENIAC stayed in operation until 1955. In 1946, RAM was first introduced and started to be utilized as an effective data storage device. While the ability to use a cathode ray tube were being studied for several years, the Williams tube was the first RAM to be utilized in computers. RAM or Random Access Memory is an easy way to store computer instructions that can be used over and over by the computer without unnecessary programming. The first RAM was actually a metal detector plate that was in position close to a vacuum tube which detected the difference in electrical charges. On a CRT screen, one can see the difference between these charges as either a dot or pixel of green or black- this in essence was binary code either 0 or 1. With the advent of RAM, rewiring each time a new program was installed was no longer necessary and programming itself became more convenient and quicker. This type of memory was used until core memory took over in 1955. With plenty of innovations taking place in the 1940’s after the war, faster and more complex computers were being built on both sides of the Atlantic. England had its own successes with early computers specifically the Manchester Baby and the Manchester MARK I. The Manchester Baby was developed by Telecommunications Research Establishment and it decided to build a computer based on the Williams tube. One of the designers Tom Kilburn devised an even more impressive way to storing data than the current Williams tube was able to handle. Kilburn’s new innovation allowed the storage capacity to include 2048 bits of information. 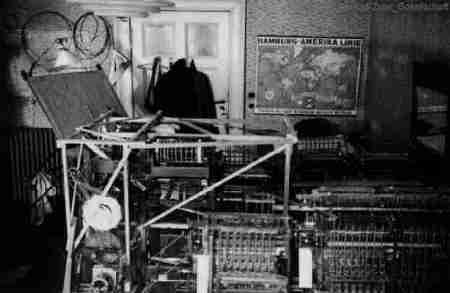 The Manchester Baby was the first computer to use a stored program, it went live in 1948. Besides the Manchester Baby, the Manchester MARK I was commissioned to be built and in 1951 the Manchester went live. The Manchester built upon the successes of the day’s computers and while it showed tremendous progress against computers built just a few years ago, it also showed researchers that there was also enormous potential for the computer. Besides the ENIAC, one of the most popular computers of the past is the UNIVAC. The UNIVAC stands for Universal Automatic Computer. It was built and developed by those that created the ENIAC computer. Instead of working for the US military, the UNIVAC was first sold to the US Census Bureau that required a computer for complex computations dealing with the explosion in the US population. 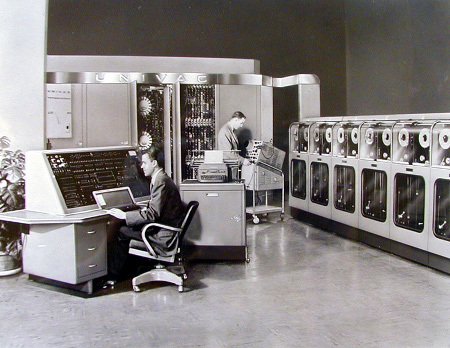 In 1946, the US Census Bureau gave a $300,000 deposit for the development and creation of the UNIVAC. It was stated in the contract that it would pay no more than $400,000 for the computer, however falling into financial difficulties and cost over runs, the UNIVAC was delivered at the cost of 1,000,000 dollars. In fact, the UNIVAC was now owned by the Remington Rand Corporation which sold the first UNIVAC at a loss in the hopes that later sales of the computer would pay back their initial investment. The UNIVAC computer was extremely cutting edge for its day. It was fast and able to handle many computations. In fact, it can add in 120 microseconds, multiply in 1,800 micro seconds and divide in 3,600 microseconds. It was also able to read characters that were fed via magnetic tap at a speed of 12,800 characters per second. All in all it was one of the fastest and most innovative computers of its day. In fact, the UNIVAC received public praise and notoriety when it was used to predict the next president of the United States. IBM today is known for bringing the first widely affordable and available personal computer (PC) to the masses, however earlier in the 20th century they were widely known for their punch card business machines such as calculators. The first IBM general purpose computer was the IBM 701. In 1953, the 701 was developed in part due to the Korean War. The goal was that a computer was needed in helping to compute and keep track of the effort of policing Korea. The IBM 701 not only delivered one computer for the Korean War cause, but built 19. Some went to atomic research, others went to aircraft companies and research facilities including the US Weather Bureau. At the time, a company or large organization could rent the 701 for $15,000 per month. It was built with storage tubes for memory and used magnetic tape to store information. It also should be noted that the new computer language FORTRAN was utilized in the new 701. Besides the IBM 701, there were other IBM computers to follow including the 704, the first super computer to utilize floating point hardware and a magnetic core memory that was much faster than magnetic drum stored memory. The IBM 7090 also was a big success being IBM’s first commercial transistorized computer. It was built in 1960 and was the fastest computer of its day. IBM capitalized on the 7090 and it dominated business computers for the next 20 years. One of the biggest innovations to the computer was the integrated circuit (IC) or the chip as it is now known. In fact, the chip has made the computer extremely powerful and affordable so that practically everyone in the world today can own a computer. The chip has had an enormous influence on reducing the cost of the computer, literally cutting it by a factor of a million to one. The chip was actually invented by two different entities at about the same time without either entity knowing about the other. However, both companies were extremely smart and combined their licensing agreements to take advantage of the huge market for the technology. In the first few decades of computer creation, in order to make a computer more powerful or add innovation, it usually required more and more parts, however with a chip, everything can be placed on an extremely small piece of silicon. The first commercial integrated circuits or chips were sold in 1961. While first bought up by the military they later were used in the first mobile calculators. While the first chip had one transistor, three resisters and one capacitor which fit on a space less than a square inch, today’s chips are much smaller and can hold more than 125 million transistors. The First Microprocessor- A Computer on a Chip by Intel Corp. While the IC chip (integrated circuit) was already developed, Intel was the first to put a complete microprocessor or computer on a single chip. The first Intel chip to do so was the 4004. 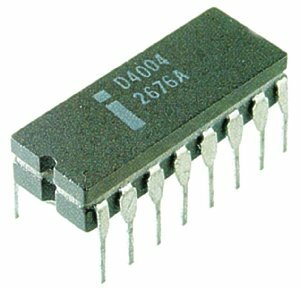 The 4004 was able to put a central processing unit, memory, input and output controls on one super small chip. This chip had huge implications to almost anything digital and as the years went on, Intel was able to create smaller, more powerful chips that actually cost less. The personal computer of today has the Intel 4004 chip to thank for its ability to be incredibly powerful and affordable for the consumer. If you wanted to use a computer in the 1960’s or 1970’s, these huge devise were not only very rare- only available to students and researchers at major universities, but extremely costly to run. However, for those that were interested and fascinated by computers, most were looking for ways to own their very own affordable computer. One of the first consumer computers to hit the market was the MITS Altair 8800. It was developed in 1973 and 1974 and was first sold in 1975 as the “World’s First Minicomputer Kit to Rival Commercial Models”. The computer included an 8080 CPU, 256 byte RAM card and a new bus that had 100 pins. It was a kit, so it needed to be put together by the customer and sold for $400. During the mid 1970’s, there were plenty of hobby computers for sale however many were difficult to put together, had plenty of indistinguishable switches and must be programmed using difficult languages. Steve Wozniak was a computer hobbyist and started Apple Computers with his friend Steve Jobs. At first they showed off the Apple I computer. The Apple I came equipped with a single circuit board, video interface, 8K of RAM, a keyboard and was made with affordable components including the 6502 processor that cost only $20. While about 200 Apple I computers were sold in 1976, in 1977, at the first West Coast Computer Faire, the Apple II was released with many of the same components, an increase of RAM and a floppy disk drive. 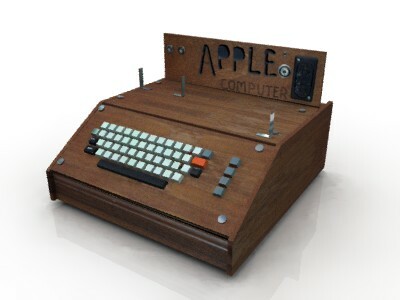 While the first Apple computer sold for $666.66, the second was a little more polished and more expensive selling for $1,298. During 1977, Apple II, Commodore Pet and the Radio Shack TRS80 all became available for the home. With both Apple II and TRS80 computers using floppy disk drives, it now made it easier for software developers to create and sell programs to the masses. One company that started to grow and even trademarked their name in 1977 was Microsoft. IBM has had an enormous influence on the computers that we use today. While many computers that IBM first created were for defense or for large government organizations and corporations, IBM started to notice that there was a tremendous amount of demand building up for home computers in the 1970’s. In the late 1970’s and into 1980 IBM developed a personal computer known as the PC. It went on to be released to the public in August of 1981. The IBM PC grabbed the attention of the public and many businesses that realized that since IBM was selling PC’s to the public, there must be real demand. Out of the PC came numerous companies that innovated the PC. And since the IBM PC was based on off the shelf parts and had an open architecture, many businesses would be able to support and even start to build computers of their own. The first IBM PC had a 4.77 MHZ Intel 8088 microprocessors, 16 KB of RAM, two 160K floppy drives and even an optional color monitor. While the price was still on the expensive end- $1,565, many hailed this as the beginning of the home computing market. While the IBM PC definitely took off, not only for consumers, but small and medium businesses, Apple computers still continued to be dominant in the market. In 1984, the Apple Macintosh was released. The Apple Macintosh while not an immediate success in sales as the company hoped for, did have one of the first GUI (graphical user interfaces) that made computing much more attractive and easy to use. In addition, the Apple Macintosh also had an 8 MHZ processor, 128K of RAM, a floppy disk drive and a monitor, it went into production from January of 1984 to October of 1985 and cost around $2,500. However, it lacked in memory and was difficult to use with its one single floppy disk drive. With the personal computer market starting to build up steam in the early and mid 80’s many companies realized that a graphical user interface was the best way to operate and perform tasks on a computer easily. 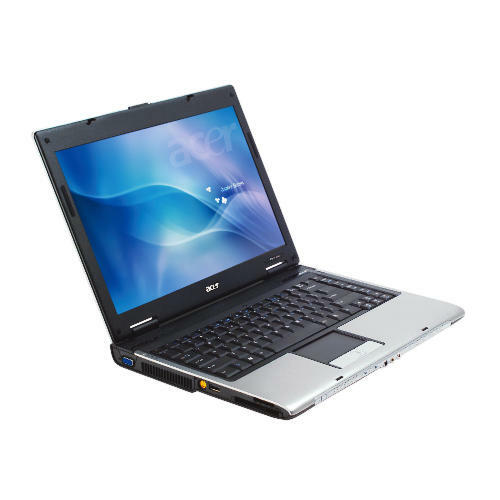 While several companies created operating systems for PC’s, none stuck, because there was no support. However, Microsoft had the backing of the computer makers specifically IBM which helped them legitimize their product and sell their OS Windows. It should be noted that Apple did not license out either its hardware or software to third parties reducing the growth of their computer market share. 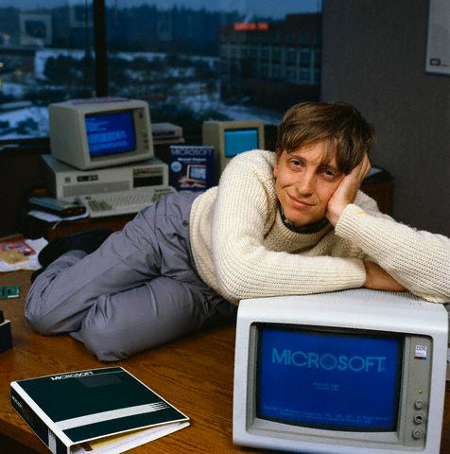 Windows was originally announced late in 1983, but didn’t come to market until two years later with Windows 1.0. With the later editions of Windows, 2.0 and 3.0 Microsoft included desktop icons and many of the features that are now a staple of home computing today. During the late 80’s WISYWIG programs (what you see is what you get) were introduced including updates of word processing software and updated spreadsheet programs to make these computer programs for home and small businesses easier and more powerful to use. A lot has changed since IBM introduced its first PC. Today, computers have infiltrated into practically every aspect of our lives. Today, computers are extremely powerful, extremely small and more affordable than ever. With the advent of the internet in the late 60’s and the growth of the world wide web decades later, the computer is used as a powerful tool to communicate and conduct commerce. In fact, the computer has been a tremendous engine in world wide growth and has helped raise the quality of life for potentially billions of people. As the computer becomes more and more sophisticated and morphs with a wide variety of other aspects of our lives, where and how the computer will continue to evolve is still unimaginable. Learn how to buy a computer. As a final shot, let me leave you with a cool video of the First Google Server.